If you are looking to start a blog then this is the right place for you. There is no “right” way to blog, but there are certainly best of practice strategies that can help your blog be successful from the beginning. 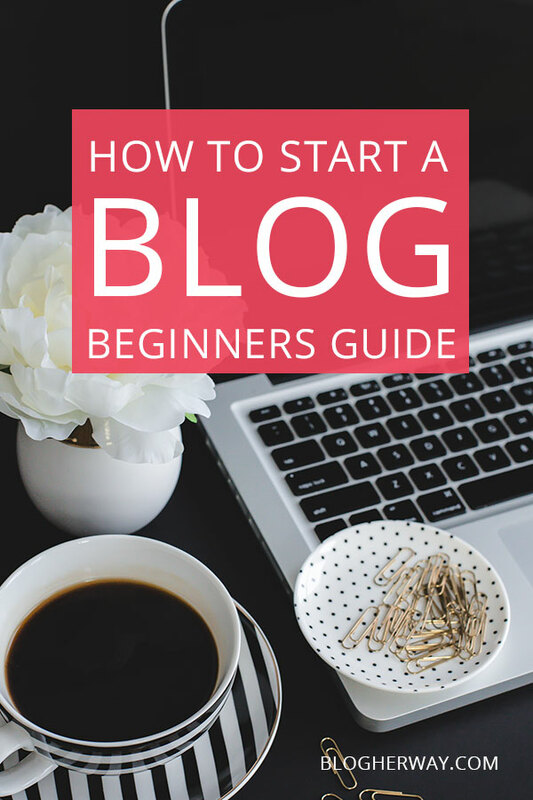 I will take you through the step-by-step process on how to start a blog with WordPress. 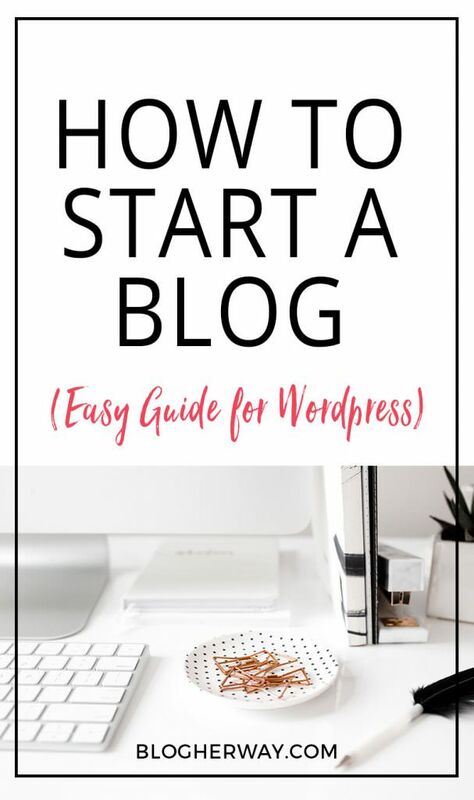 Before we go any further I have put together an awesome checklist to help you work through the process of starting a blog and to make sure you don’t miss any steps along the way. This checklist provides 100+ steps to help get your blog ready to launch. When I started my first blog I was a little clueless and was brand new to WordPress at the time. I knew what I wanted to blog about, I had picked a name, purchased my hosting and was ready to put myself “out there”. However, as I started to work in WordPress and create content for my blog I quickly became overwhelmed and discouraged. As you go through this process of creating your blog I promise you there will come a time when you will get overwhelmed with the process, but don’t let it stop you. That is partly why I have created this guide on how to start a blog. I want to walk you through the steps so you don’t get frustrated. Long story short my first blog never got off the ground. It was a good learning process for me. I became aware that there are a lot of things I didn’t know, which led me to what I call my “education period”. I did a lot of researching and took some courses from the experts, which has helped make the process of blogging this time around that much smoother for me and I want to help make the process easier for you. Obviously you need a topic for your blog. When choosing your topic you should consider the three P’s: Passion, Purpose and Profitability. Check out my tutorial on how to choose a blog niche once and for all where I go over the 3 P’s and guide you through an exercise on how to decide what is the right topic for your blog. Don’t let them fool you setting up a blog isn’t easy, but with the right guidance it doesn’t have to be hard! Once you have you topic in mind it is time to brainstorm ideas for your official blog name and domain name. Check out my tutorial on How To Choose the Best Domain Name For Your Blog. Now that you know your domain name and social media accounts are available it is time to set up hosting and install WordPress. There are two possible options for this. Option 1: Purchase your domain name and hosting together. I personally recommend SiteGround for hosting. They are a reasonable priced hosting option and I have had to use their customer service a couple of times and I was thoroughly impressed with the service. Check out my tutorial on how to start a blog with SiteGround where I will take you step by step through the process of setting up your blog with SiteGround and installing WordPress. This option is for someone who is on the fence about WordPress and wants to get their feet wet before investing in hosting. Basically it involves setting up a local server on your computer with some free software that is capable of running WordPress. You will be able to play around with WordPress before spending any money on hosting. Unfortunately there can be a learning curve with WordPress, but once you get the feel for it and learn it then it can be pretty easy to use. With this option you can set up your entire blog and then when you are ready to go live you will purchase your hosting and then upload everything you have already set up to your hosting platform. Check out my tutorial on how to set up a local server and start working with WordPress for free. It took me three months after purchasing my hosting to “go live” with my blog. I potentially could have saved myself 3 months worth of hosting cost as I went through the process of setting up my blog. One potential negative when choosing this method is you can’t actually go live until you purchase hosting. If you go with method one where you purchase hosting right from the start then you will be able to put your website in coming soon mode and have the potential to collect email addresses prior to going live. If you are already established on social media you can send them to your website to start building your email list before your blog is ready. No matter what option you pick make sure you reserve your social media accounts now. You may not be ready to fully set them up, but it’s a good idea to reserve them while you know they are available. Once you have your host and WordPress installed it is time to do what I called the “foundational phase” of setting up your blog. Check out my tutorial on how to set up your WordPress general settings where you will learn how to change your Site Title and Tagline and choose the proper permalink structure for your website. There are two parts to a website. The back end of the website is the WordPress interface where you set up your website and the front end of the website is how your reader will see and interact with your website. How the front end of your website looks is determined by your theme. I personally use the Victoria Theme from Bluchic. Bluchic offers a great selection of feminine WordPress themes. Check out my tutorial on how to choose and install a theme in WordPress. Grab this 100 plus step checklist on HOW TO START A BLOG and make it easy on yourself! Plugins help to extend the functionality of the WordPress software. Check out this post on how to add a WordPress Plugin and the 6 necessary plugins I recommend to help with backing up your website, improving security and speed, reducing comment spam and improving overall SEO and analytics. Google offers a number of free tools and resources to help with the management of your blog. Learn how to add Google Analytics to WordPress and how to set up Google Search Console for your blog. Finally make sure you create a filter in Google Analytics to remove your personal visits to your website so it doesn’t skew the data. My goal with this post is to offer a complete guide on How to Start A Blog with WordPress with detailed tutorials to walk you through all the steps. I will continue to update this post so stayed tuned. Don’t forget to download my free how to start a blog checklist. Remember sharing is caring! Pin and SAVE this post for later!